After we had blown our bubbles to the sky for Matilda Mae this afternoon I got the Tuff Spot out and gave the kids some cornflour and water to play with. 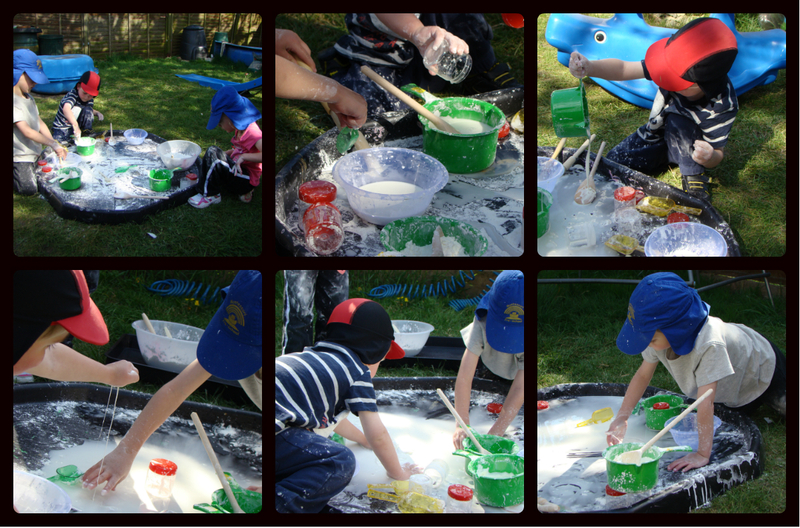 It seemed fitting today to do some messy play in the Tuff Spot. Last time we did cornflour and water I mixed it into gloop for them to play with but this time I simply gave them the ingredients and let them experiment. Thomas immediately knew what it would make and set about making himself some gloop. Ben copied his brother and also mixed all his ingredients together, although he told me he was making slime! At first they didn’t have enough water so the mixture was far too hard for them to do anything with. They asked for more water so I got some and suggested that if they did want to make gloop they might want to add the water a little at a time to get the right consistency. Boys will be boys however and they both poured in all the additional water straight away! They soon had bowls and a Tuff Spot full of runny gloopy slime! 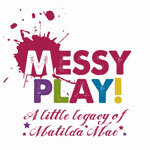 Jasmine wasn’t so sure about the “messy” bit of the play so I gave her a gravel tray to put some cornflour in with no water. 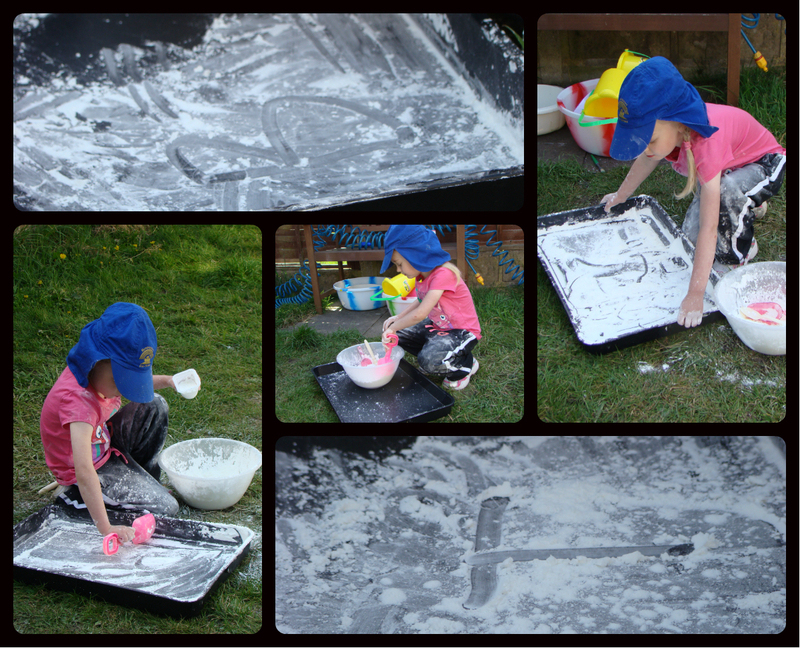 She was happy with this and spent time sprinkling the cornflour from a bowl to the tray, writing letters in the flour and burying things under flour in the bowl. As it got close to the time I needed to start tidying everything away for dinner I nipped in to the kitchen to turn the oven on and when I looked back outside the play had moved on.. to all 3 kids having a flour fight! They looked like they were having so much fun I left them to it for a while longer than I had planned and the last photo you can see is of Thomas getting a face full of flour, including in his eyes.. oops. 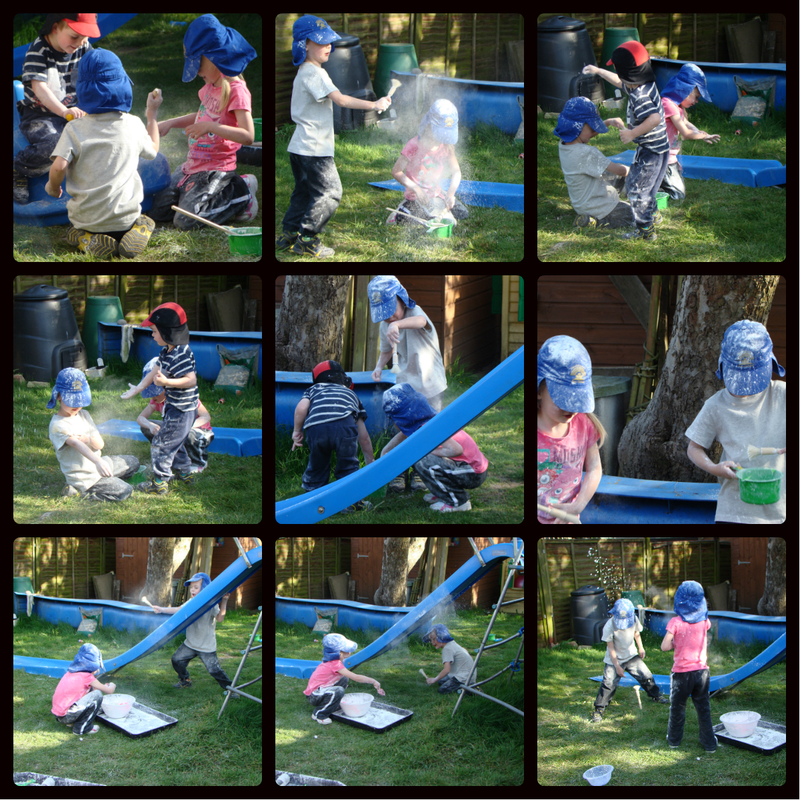 So play ended quite quickly after that as they all came inside to be cleaned (they were covered from head to foot in flour!) and put into pyjamas for dinner. Despite the flour in eyes incident the flour fight was a huge success and was messy play at its best.. child initiated and filled with giggles! Watching them have so much fun was the highlight of my week so far!